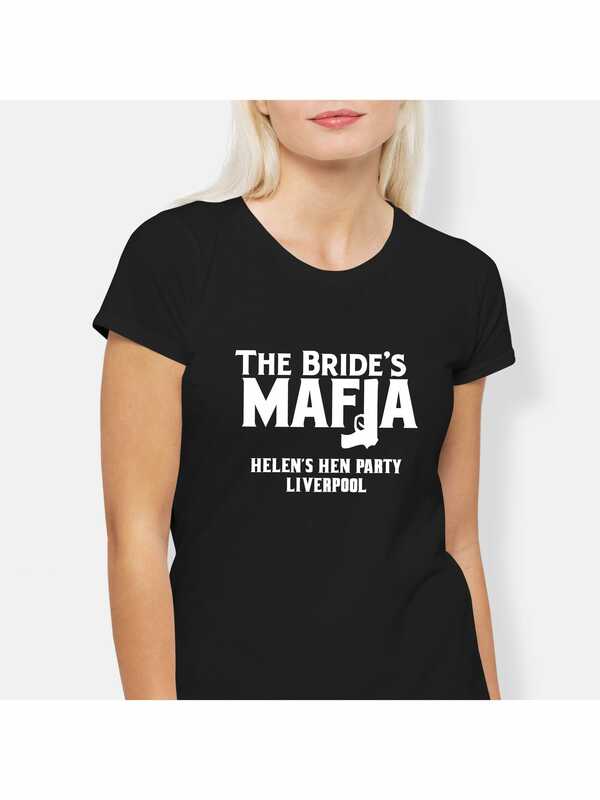 Make your hens an offer they can't refuse... to be part of your mafia in these Pink Mafia Gangster Hen Party Fancy Dress T-Shirt/Vest Tops. You'll own the joint with these tops and everyone will want to be part of your entourage. This pink t-shirt or vest has 'The Bride's Mafia' written in white with a gun motif. Make sure you're sent off in style with these simple but effective tops. The bride-to-be can dress to match her hens with the coordinating Gangster Theme Pink Bride T-Shirt/Vest Top. Hen Party Superstore offer next day delivery so there's never any need to panic. However, with the personalised and semi-personalised items, please allow 24 hours for it to be made.